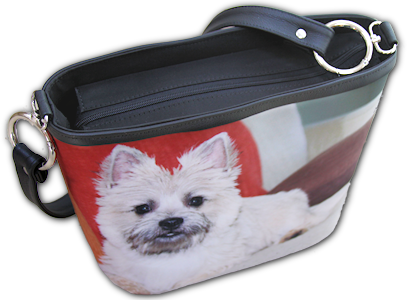 These images are of the actual purse I created for our daughter Tori's birthday. 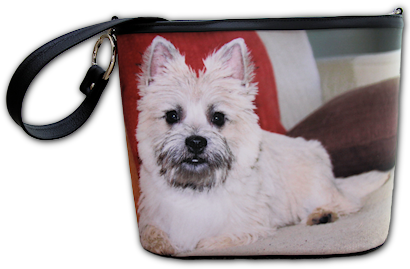 I photographed her two Cairn Terriers, Teddy Bear and Rosco and picked two photos that I thought would be perfect for her purse. 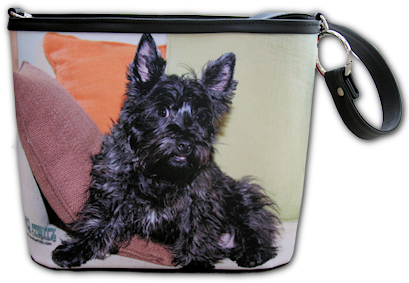 The fabric is a gorgeous microfiber that holds the detail and the color beautifully. 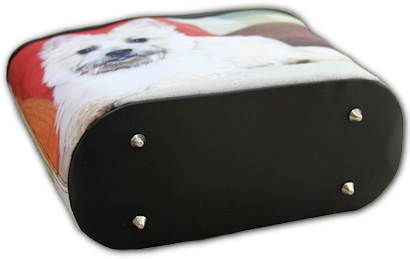 The trim is a high quality leather attached with heavy nickel hardware. The top has a zippered closure. eMail Me to order your own!